2020 Democratic candidate Elizabeth Warren (D-MA) proposed a seven percent tax on corporate profits above $100 million. Warren published an article to Medium Thursday, where she said that the federal corporate tax rate that big corporations pay relative to what they make in profits went down between 1988 and 2012. Warren blamed “relentless lobbying” for creating “loopholes and exemptions and deductions” in the tax laws. She said the loopholes allowed companies making billions of dollars to pay zero corporate income taxes. To combat “corporate greed,” Warren said she will push for a “Real Corporate Profits Tax.” Under her tax, Amazon would have to pay $698 million in taxes while Occidental Petroleum would need to pay $280 million. 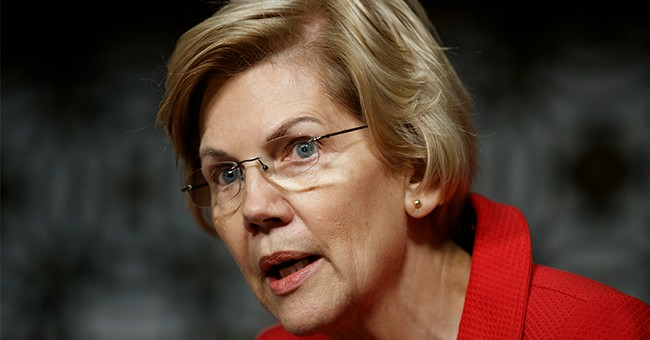 Warren suggested that making a new tax is necessary, since raising the corporate tax rate, according to her, would be ineffective because of its loopholes. Warren added that companies need to remember that they rely on government to be successful. Warren's statement echoes former President Barack Obama's back in 2012. Rep. Kevin Brady (R-TX) criticized Warren’s tax plan, saying that it punishes businesses for succeeding. - reverse tax reform that made U.S. #1 competitive economy on globe. I guess Rep. Brady is fine with 60 of the biggest corporations in the US paying $0 in taxes on a combined $79 billion in profits—while the rest of us pay federal taxes to fund our military, our roads, and our bridges. I'm not, and my Real Corporate Profits Tax would fix that.